Winged beauties found in Panama, some images and tips for bird observation with a large photo collection and a list with the best birding spots. 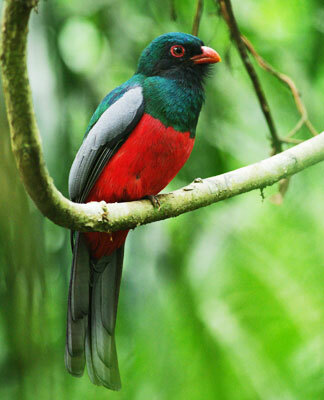 In this section we offer you a view of some of the birds that can be found here in Panama. Descriptions and maps of some of the recommended birding spots in Panama. A few of the species you might or not encounter while birding in Panama. A few recommended books with related information. The country has over 940 registered species of birds and these can be found in many beautiful locations some listed here in this website. Photo of a Slaty Tailed Trogon seen along the Pipeline Road in the Soberania National Park. This website was redesigned based on a site template by AJ for HTML5 UP. It's built on HTML5 + CSS3 and on the skel.js framework so it has full responsive support for desktop, tablet, and mobile device displays.